St. Patrick’s Day can be a fun time to wear green, dance a little jig, and learn all about Ireland. But it is also a great time for children to think about all they have and luck they have received. This St. Patrick’s Day season is the perfect time to try out this “The Lucky One” activity for kids, a fun and frugal activity that will help them see how truly lucky they are! You don’t need a great deal of materials, in fact we were able to craft this from supplies found at our local dollar and retail store. Take a peek at how to enjoy this activity with your own kids or classroom! 1. 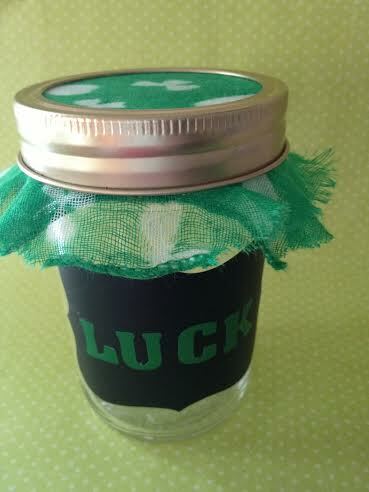 Begin by constructing your lucky jar. To create this jar, place a label on the front. You can simply cut one from black construction paper and glue it to the jar. 2. Dress up the lid but cutting some scrap fabric and wrapping it around the top. This will give it a little St. Patrick’s Day flare. 3. Next, peel and stick your letters to the jar. We created the word LUCKY but you can put any phrase you wish. 4. Give each child some pieces of scrap paper. You want to give them 17 pieces total. On the paper they should write something they feel lucky for. Perhaps it is their family, perhaps it is a pet, their school, their teacher, whatever the item may be. Have them write one item down per piece of scrap paper. 5. When the child is done they should place the piece of paper in the jar. Replace the lid. Starting on March 1st, have the child pull one of their pieces of paper from the jar and share it with everyone. They should do this daily, pulling one piece per day until the 17th of the month which is St. Patrick’s Day. This is a great way to use the holiday as well as the month of March for children to think about the luck they have received in life! 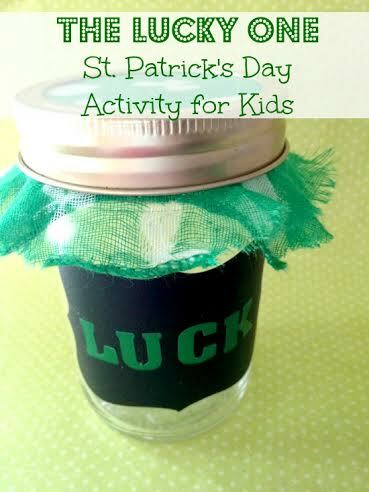 Give this lucky jar activity a try and see how much your kids enjoy it! Irina is the owner and editor at I love my kids Blog. Mom of 2. She enjoys writing about parenting tips, DIY projects and feature lots of toys and products for family and kids of various ages.